It was only two months ago that we tested Mercedes' new A35 hatch in the UK. 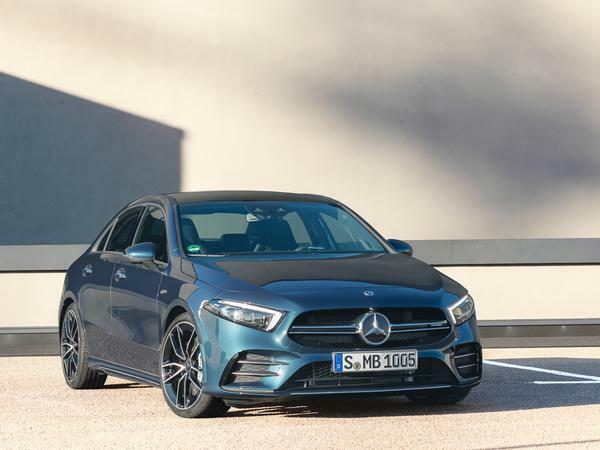 As a fully AMG-badged machine, the model left us somewhat unmoved, failing to live up to expectations of an A45-lite and instead landing in the sort of middle ground that fully fledged AMGs have typically sailed over. It's conceivable then that the model's sporty-yet-sensible nature might be more comfortable in a saloon body than among the current crop of bonkers hot-hatches. Certainly Mercedes-AMG thinks the fit is a good one, having today announced that an A35 Saloon is set to follow hot on the heels of its hatchback sibling. Based on the same new compact car platform as the hatch and powered by the same 306hp 2.0-litre four-pot turbo, it's not hard to imagine the dynamic similarities between the two cars being extensive. 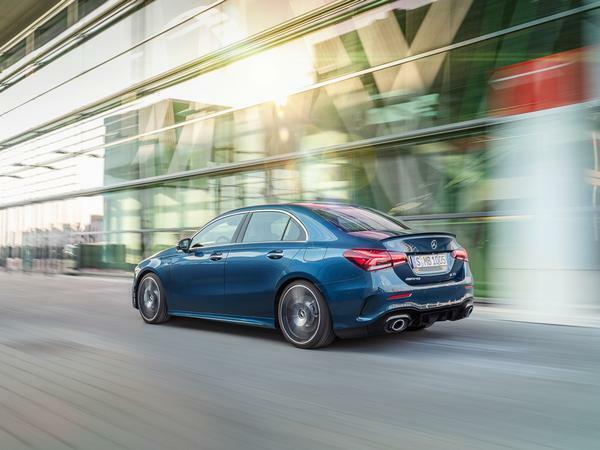 With power transmitted to the same 4MATIC all-wheel drive system via the same seven-speed dual-clutch 'box, the 0-62 sprint takes 4.8 seconds - 0.1 seconds down on the hatchback - while top speed remains an electronically-limited 155mph. In fact, the only real change from hatch to saloon comes in the change from hatch to saloon. Which is kind of the point, really. All of the same entry-level AMG performance that buyers on a budget want, with a little more of the practicality that they might need. 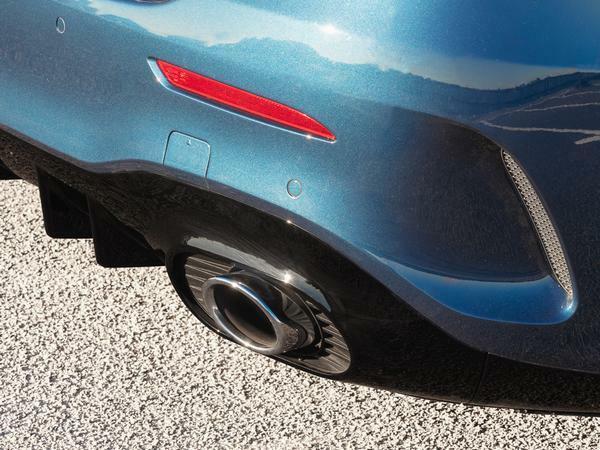 Boot space is 420 litres - 50 litres more than you'll find in the hatchback - while rear passengers of the A35 Saloon will apparently find enough headroom to compete with the best in its class. All the usual features which buyers in this segment are looking for are present and correct here, too. Exterior details such as the front splitter, 18-inch alloy wheels and rear spoiler lip emphasise the car's sporty intent, whilst interior tech including Mercedes' MBUX multimedia system, a fully digital instrument cluster and five AMG drive modes ought to ensure a sufficiently modern driving experience. For those in search of something more - there are always a few - an optional AMG Aerodynamics Package improves high speed handling thanks to a larger front splitter and rear spoiler, while the AMG Night Package includes visually enhancing black trim pieces, as has been the trend for a good few years now. 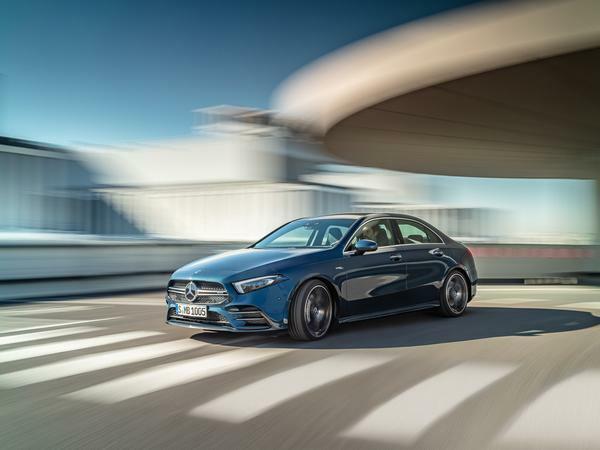 Speaking of the new A35 Saloon, Mercedes-AMG CEO Tobias Moers said: "Following the very successful launch of the hatchback model, things are moving along dynamically in the compact class segment at AMG. Sport saloons are the origin of Mercedes-AMG and part of the brand's core. 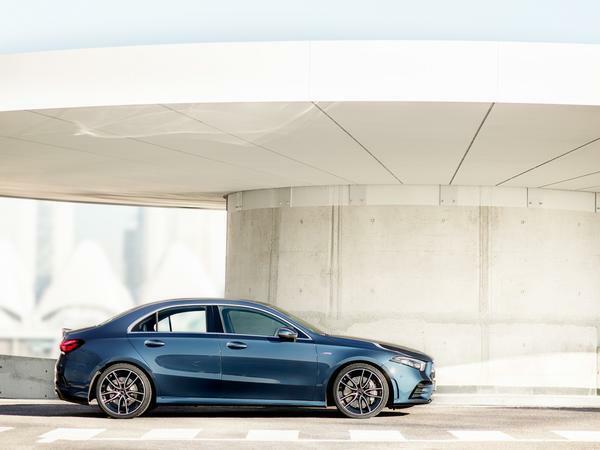 With our new A35, we are transporting this history into modern times in the form of a very attractive model that serves as a point of entry into the world of AMG and also appeals to new customer groups." So there you have it, another new way into AMG ownership - and that can hardly be a bad thing, can it? They're kind of pointless but I quite like the hatchback-turned-saloon saloons. Your normal C Class, 3 series etc are so big now that these, the A3, 2 series all fill a nice proportion between them. That back end though I would have said was off some new BMW if there wasnt a Merc badge on it. 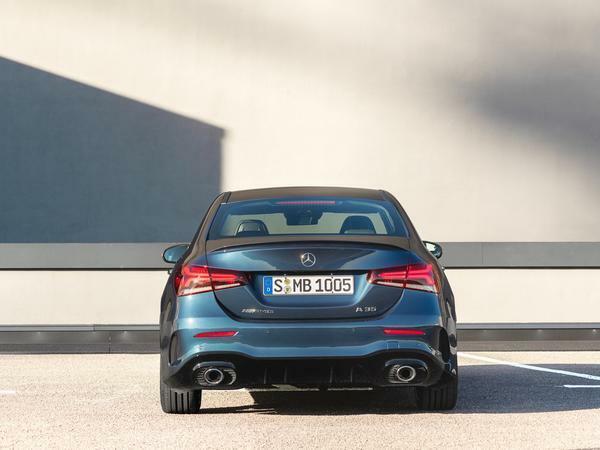 So there's the A-Class Saloon & CLA now? 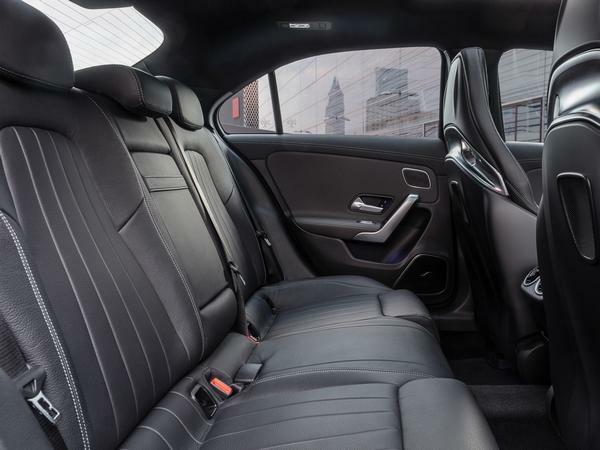 Looks like the CLA is the coup and this is the saloon - not that there's much in it! This saloon looks better imo. Like a German version of a latter day Ford Orion.